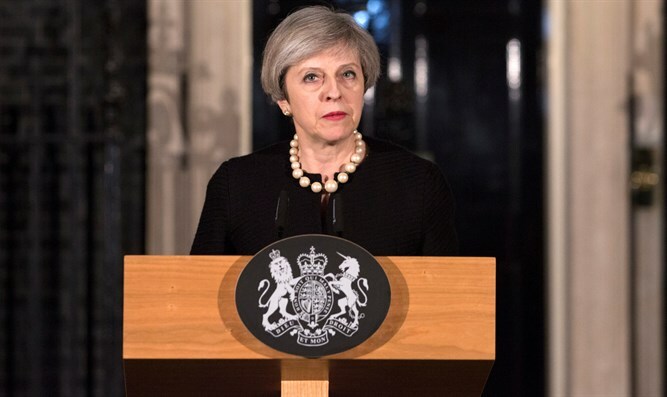 UK Prime Minister Theresa May calls for June 8th elections, cites opposition to Brexit. UK Prime Minister Theresa May formally called for new elections on Tuesday, cutting short the current parliament by nearly three years. May surprised observers with the decision to dissolve the government she inherited from former PM David Cameron and bring on snap elections, which May says should be held by June 8th. “I have just chaired a meeting of the cabinet, where we agreed that the government should call a general election, to be held on June 8,” said May. The current parliament was elected in May 2015 to a five-year term. The ruling Conservative Party won an absolute majority in those elections under Cameron, carrying 331 of the 650 seats in the House of Commons, a pickup of 24 seats. In a press conference Tuesday, May cited parliamentary opposition to the implementation of the Brexit and the subsequent political deadlock in negotiating its terms as the reasons for her decision. “The country is coming together, but Westminster is not. In recent weeks Labour has threatened to vote against the deal we reach with the European Union. “The Liberal Democrats have said they want to grind the business of government to a standstill. The Scottish National party say they will vote against the legislation that formally repeals Britain’s membership of the European Union. “And unelected members of the House of Lords have vowed to fight us every step of the way. Our opponents believe that because the government’s majority is so small, our resolve will weaken and that they can force us to change course. "If we do not hold a general election now, their political game playing will continue," said May. Late last month, May’s government invoked Article 50 of the European Union charter, beginning the complex process of ending Great Britain’s membership in the EU. Recent polls taken before Tuesday’s announcement show the Conservatives maintaining a wide lead over both Labour and the Liberal Democrats. A YouGov poll conducted last week showed the Conservatives with 45% to 22% for Labour, 13% for the Liberal Democrats, and 9% for the right-wing UK Independence Party (UKIP). An Electoral Calculus average of recent polls predicts the Conservatives would gain 50 seats if new elections were held today, rising from 331 to 381 seats, while Labour would plummet from the 232 seats it won in 2015 to just 182. The Liberal Democrats would remain stable at 8 seats, while the Scottish National Party would maintain its 56 seats. UKIP, which won a single seat in 2015 despite winning 13% of the vote, would likely lose all parliamentary representation, with a projected vote share of 10.5%.